You hear people talking about survival kits or read online about it. So, what is this kit and what do you really need to have in it? These kits are generally described as the go to “baggage” during emergencies. They are intended to help you see through disaster situations; when even basic necessities could end up being out of reach. You can create your own kits, to take care of your individualized requirements; or simply get these from stores. Whatever your choice, there are some essentials without which your kit cannot be considered to be complete. If you decide to procure emergency kits from stores; you can either choose the generalized versions or go in for specific disaster or emergency kits like earthquake kits, hurricane kits, vehicle kits, natural disaster kits, military kits, etc. 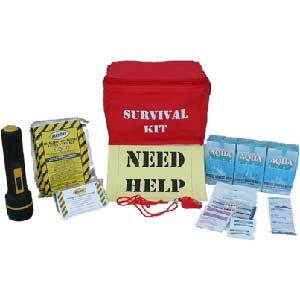 Each of these purpose-based kits is designed to serve a specific purpose or help you in a specified scenario; and includes components or objects that would be required in that emergency situation. In case you are considering building your own kit, the first step is to understand what you need in an emergency or disaster situation. There are some basic things that you would need during a disaster; and procuring these objects after a disaster has struck could turn out to be near impossible. So why wait till the last minute? Have your survival kit in place and ready to go, and you would save yourself and your loved ones a lot of pain during troubled times. This brings us to the question what are the objects that form the essentials in your kit? Emergency or not; food, water, clothing and shelter are your basic needs. And these needs don’t stop just because a disaster has struck. As long as you are alive, you would need to take care of these aspects. The only difference is, the way you approach these aspects changes during emergency situations. Let’s take a look at each of them, to understand what should be your approach towards basic needs during survival situations. Let’s begin with food. Procuring food during emergencies could be out of the question, especially during natural disasters were mass destruction means no food or water; at least for a few days. Therefore, food is an imperative part of your kit. What food can you store for a long time? Invariably the finger points to all the dry and “no cooking” required items sitting in your kitchen shelf. Even ready-to-cook meals might not be a good choice, because you do not know if you would have a place, fire, water, or even utensils to help you cook. So, the ideal choices would be to go in for ready-to-eat packed food, dried fruits and nuts, and other healthy options that would supply you with energy – something you would need in loads during disasters. The next, but not in the least important, is water. Either you can opt to carry sealed containers or plastic carriers with water. These come with a shelf-life and would have to be replaced. Or you could also choose to go with simple water purification systems, such as tablets or chemicals. What you choose would depend on the geographical region you live in and the availability of fresh water. However, you always need to consider the fact that some kinds of contamination cannot be cleared with simple chemicals or purification tablets. Nevertheless, analyze the sources of water in your region and determine whether you need to store all the water you need, or you can partly depend on these sources during emergencies. Along with food and water, you need to make provisions for a first-aid kit and medicine kit. If you or your family members are on medication, these should definitely be part of your medical kit. Of course, it would also include other medicines such as painkillers, general medication, antibiotic lotions and creams, sunscreen lotions, burn ointments, disinfectant pads, sterilized gauze and dressing material, scissors, bandages, etc. Ensure that these medications are checked regularly for expiry and replaced appropriately. Clothes and shelter material is another significant part of your survival kit. During emergencies, you cannot lug around heavy baggage; so you need to take minimal clothes that will offer you protection during inclement weather and are not too cumbersome. Similarly, make provisions for sleeping bags, blankets, or tents. But how and whether you would use it, will finally depend on your need and the ability to take these items along with you. Some situations might require you to discard some of these items, especially when weight would be an issue. So, go for light-weight material or flexible options that can be easily and conveniently packed. Once your basic requirements are taken care of, there is another significant component that comes into the picture – tools and equipments. 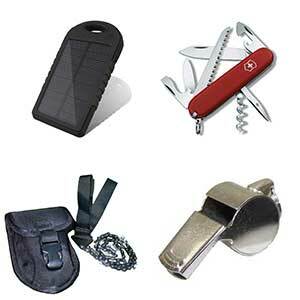 There are some multi-purpose tools and devices that are an integral part of any disaster kit. For example, Swiss knives, chainsaws, maps, signalling mirrors, whistles, flares, emergency lights, can openers, chargers and batteries, etc. While selecting devices and tools, it is important to remember that you might not have reliable charging points for your equipments. Dependency on fuel and electricity could make your devices incompetent. Therefore, you would have to rely on solar-powered chargers or other similar power banking options. When deciding on tools, find options that are light-weight, easy to carry, offer flexibility, and serve multiple purposes. For instance, replace your conventional chainsaw with a pocket chainsaw. Because discarding tools and equipments due to weight could be a terrible mistake during emergencies. It is these tools and devices that could keep you going in the wilderness or while you are stranded. For instance, a pocket chainsaw would not only be a convenient fit in your bag but also an ideal tool to get the firewood you need to keep you warm at night. It could also be your companion to clear pathways and cut down branches that hinder your walk to safety. Often, it is the little things that make a big difference in your life; and these little gadgets could be your life savers. When you are done putting together your emergency kit, experiment with it to evaluate its survival-worthiness. As clichéd as it may sound; this little drill could make the actual difference between being prepared and being well-prepared. Because a near real scenario would help you estimate how effective your kit can actually be in an emergency. 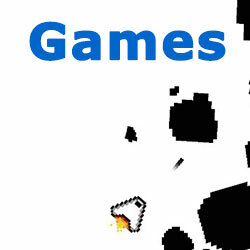 Moreover, it would also help identify any missing objects. So, get going! Now that you know what really needs to go into your survival kit; the next step is to simply get it!